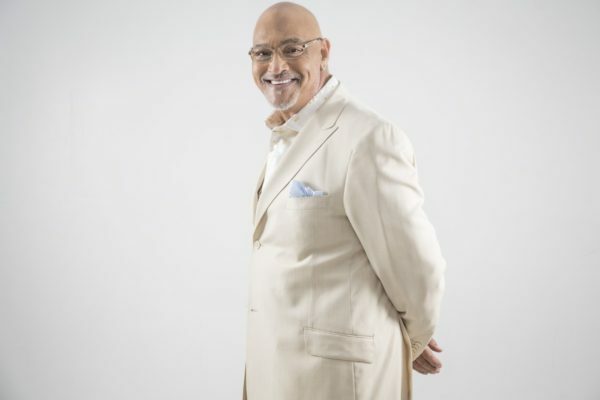 Phil Perry has been making music for over four decades with no signs of stopping as he is set to release his 12th album, Breathless, this month on Shanachie Entertainment. 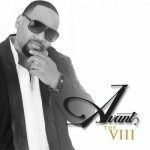 Grown Folks Music spoke with him why he continues to record, the necessity of classic R&B music, the consideration he takes in approaching a remake and of course, his definiton of Grown Folks Music. Read below and enjoy. GFM: This is your twelfth album. What motivates and inspires you to continue to record? PP: I’m stil trying to be better at what I’m doing [laughs]. 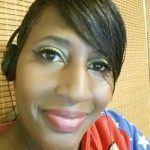 GFM: As you continue on this journey as an artist, what has the evolution been? What has the growth process been? PP: That’s kind of a loaded question. 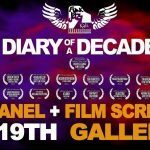 I recorded in every way of recording since 1969. I’ve gone from straight analog-8 track-two-inch tape to Adat, to direct-to-disk, to floppy disk, to hard disk recording [laughs]. So, for me the evolution is never ending. I find I’m much more at peace when I’m keeping up with how it’s evolving and how to use technology not as a crutch, but as a tool. GFM: I hadn’t even thought about it from the technology standpoint. I was just thinking more [in terms] of what your experiences were. But, since you brought up the technology part of it… you said you find it’s best when you embrace the change in how music is created. Do you find it a lot easier now [and] that it helps things go more smoothly, especially from the other aspect in terms of reaching out to the fans and how you get your music out to the people? PP: It certainly has proven to be a very useful and very affordable marketing tool. There’s absolutely no question about that. But, in terms of the software that I use when I record, it makes the process a lot quicker and a lot cleaner but it’s still the process. If you don’t how to do the process without the computer, [then] the computer can only help you so much. GFM: So what you’re saying is an artist… is an artist… is an artist? PP: I’m saying at this stage of my life and my career I think it’s necessary for me only to continue to dream, because I’m living a dream. I get to do what I love to do… but to become better at it and to teach the ones under me the difference between nonsense and nuance. GFM: It’s interesting that you mentioned the ones comes under you. Who do you see coming? Or, who has presented themselves in the last four decades since you’ve been doing what you do? Who do you see who you feel displays those qualities… the nuance? PP: There are a lot of people who have the ability, but they haven’t been given the opportunity yet. So, I haven’t really heard them. But, the suggestion that they don’t exist is a little silly. If you look at evolution of music and the evolution of how to make it and the creative process, there are people blessed with inspiration about creative process every second of every day. The question is what they do with it. I’ve been writing for a long time. Sometimes, just to clear my head, to dive into the process and be a part of the process as opposed to the focus of the process– it does me good. It clears my head. It makes me open to direction. It makes me accessible to try a new way of doing things and it gives me a broader base on which to work the next time I work. It’s a constant growing process if you let it be and you have faith in the people you work with. 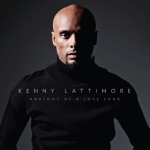 GFM: You’ve done a lot of remakes in your solo career and this album [Breathless] features them as well. How do decided what songs you want to re-interpret? PP: I have to hear some of myself in it. GFM: What you do mean by that? PP: I don’t mean that necessarily from a musical perspective. I have to have a connection with that story. I have to have undergone some of the content therein to personalize it to me and to make it sound like it means what it does mean. I was fortunate to come up in a era where radio really did have a different sense of quality control. By that I mean you would hear the singles– but you could tell based on the quality of the singles and how they came across the radio– that anything on the record was going to sound good based on the quality of what you were listening to. I’ve been very blessed in my life to work with the people that I’ve worked with and learn along the way. The one thing that all of the people that I’ve admired over the years in the industry have in common is they have an unyielding trail to quality. GFM: My ears perked up when you spoke of radio having a different quality control. That kind of goes back to my question of you continuing to record and produce albums. Because radio is not showcasing music the way it used to, does that ever discourage you in any way? PP: No, because I never try to make music to be the flavor of the month. I try to make music to be the flavor every month. I don’t view classic R&B music as archaic. It’s a lot of people under my generation that, unless they had family functions where people played music all the time and everybody brought what they wanted to hear, there’s not a lot of classic R&B music being heard today unless you’re listening to a classic R&B station. Classic in the old-school sense. The old-school sense of classic is a great song sustains the test of time. It could be 60 years old when you hear it and you hear the quality in it you know why it was a hit– you just can’t put your finger on it. GFM: What is your definition of Grown Folks Music? PP: Unlimited subject matter based on life experience. 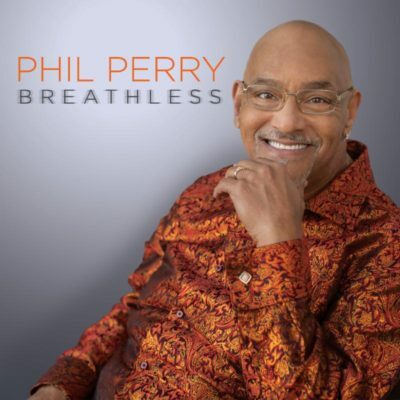 Phil Perry’s 12th album, Breathless is set for release on February 24. 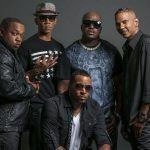 Breathless opens with the jubilant and playful title track penned by co-producer Chris “Big Dog” Davis and Fred Sawyer. Perry rides a joyous groove as he croons, “You take my breath away, every time I see your face. You take my breath away, I want to feel your warm embrace.” The utterly delightful and inviting number is the perfect way to open the album. 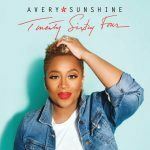 Davis and Sawyer also co-wrote the sultry and devotional “Heavens Away.” The tender ballad penned by Fred Sawyer, “Never Can Say Goodbye,” showcases Perry’s pristine and soaring vocals, flawless diction and soulful delivery, as he drives home an enduring testament to love. The spunky “Do Whatcha Gotta Do,” written by Chris “Big Dog” Davis and Timmy Maia, aptly describes the trials and tribulations of love and commitment. Davis and Maia also wrote the powerful and emotive “Someday We’ll Meet Again.” A highlight on Breathless is Perry’s stunning recreation of Stevie Wonder’s timeless classic “Love’s In Need Of Love Today.” Phil delivers this truth serum wrapped in the healing balm of his vocals. “When in our history have we needed to show each other LOVE, more than we need to now?” asks Phil. “No one wants to Forgive. No one wants to be Kind. No one wants to accept Change. It’s all about LOVE, from the inside out. We talk about LOVE, but LOVE is a Verb, as much as it is a Noun.” Perry delves into guitarist Lee Ritenour’s songbook with the irresistible “Is It You?” and guitarist Tony DePaolo joins Perry and Chris “Big Dog” on the lovely Davis original “Nobody But You.” Fans will delight in Perry’s reinvention of the Burt Bacharach/Hal David composition, “One Less Bell To Answer,” which was a hit for the 5th Dimension in 1970. Perry takes this classic and truly makes it his own. One might ask how he is so convincing? He explains, “It’s no secret. I try to become the story, not just the Storyteller. The goal is to allow listeners to hear themselves in the story.”Breathless closes with Phil Perry’s original co-written with Chris “Big Dog” Davis, “Moments in the House of Love,” and just as Perry states, you can feel the love. There is no doubt that Breathless is like coming home to a house filled with love.